Last week the 2nd annual New York Energy Week kicked off with a series of events all around New York City highlighting challenges and opportunities in the energy and power sectors, from resiliency and data-mining to investment and innovation. The highlight of the week was the NYEW Cleantech Startups Showcase at the New York Academy of Sciences. The showcase — which featured over 70 cleantech startups — was put on by the NECEC Institute, EnerKnol, ACRE, and PowerBridge NY, and sponsored by NYSERDA. At Fraunhofer CSE, energy efficiency technologies and startup assistance are an integral part of our work. As part of CSE’s TechBridge program, Fraunhofer researchers work with early-stage companies to run piloting, demonstration, prototyping, or validation work to help assess and “de-risk” their technologies for clean tech investors. The NYEW Cleantech Startups Showcase was a great opportunity to network with innovative entrepreneurs and reconnect with past Fraunhofer TechBridge participants, including Embue, Radiator Labs, Sistine Solar, and Fraunhofer BTS Partner Enertiv. Callida Energy is automating energy optimization in commercial buildings. 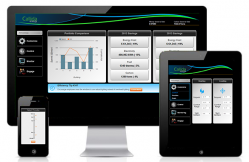 Callida’s software learns energy use patterns and optimizes performance automatically. What makes Callida different from other building management software is a machine learning algorithm that becomes smarter over time. Learn more about Callida Energy at www.callidaenergy.com. Keen Home is building smart vents for homes that intelligently open and close based on local temperature. 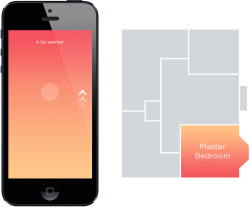 Users can also create temperature zones in the home using a smart phone app. Smart vents replace existing HVAC vents, and users can order beautiful laser-cut or 3D-printed faceplates for a unique look. Discover more about Keen Home at www.keenhome.io. 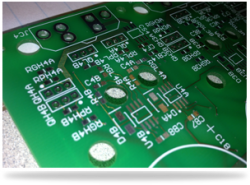 Thermolift is developing a next-generation heat pump. The device is driven by natural gas and combines heating, AC, and hot water delivery into a single 20 kW device for residential and commercial buildings. I got to see a small prototype of the system, which is projected to have improved efficiency, similar acquisition costs to existing equipment, and significantly smaller footprint. Find out more about Thermolift at www.tm-lift.com. 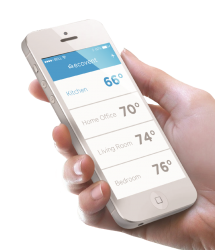 ecoVent gives building occupants room-by-room control over home heating and cooling through a wireless system of vents and sensors. The idea is to direct air where it’s needed most, and it addresses both occupant comfort and energy efficiency. The company projects that the installed system will pay for itself in its first three years. Discover more about this startup developed at MIT at www.ecoventsystems.com.